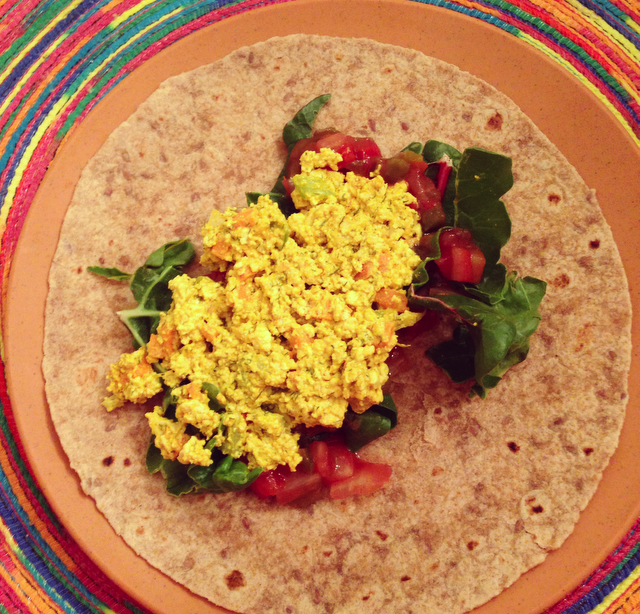 Wrap it up: Tofu Salad! Drain the tofu and press out remaining water using paper towels. 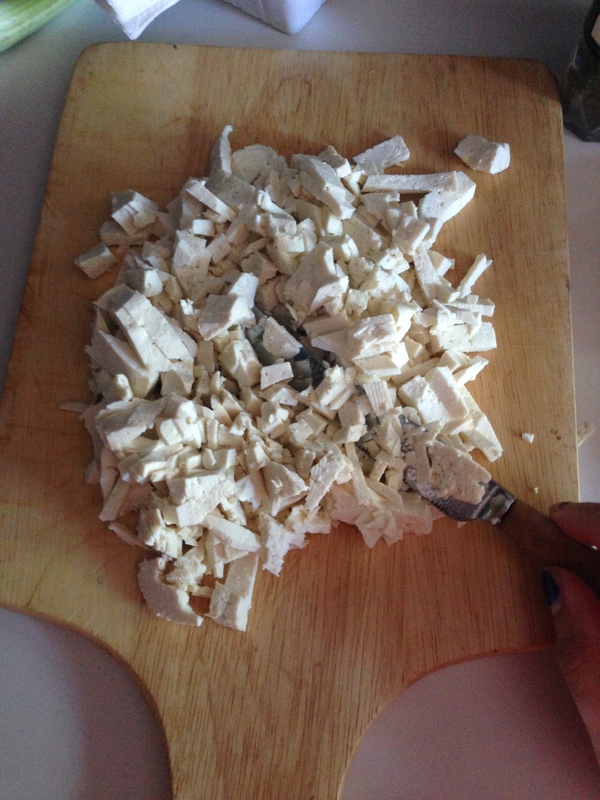 Chop the tofu into small pieces. 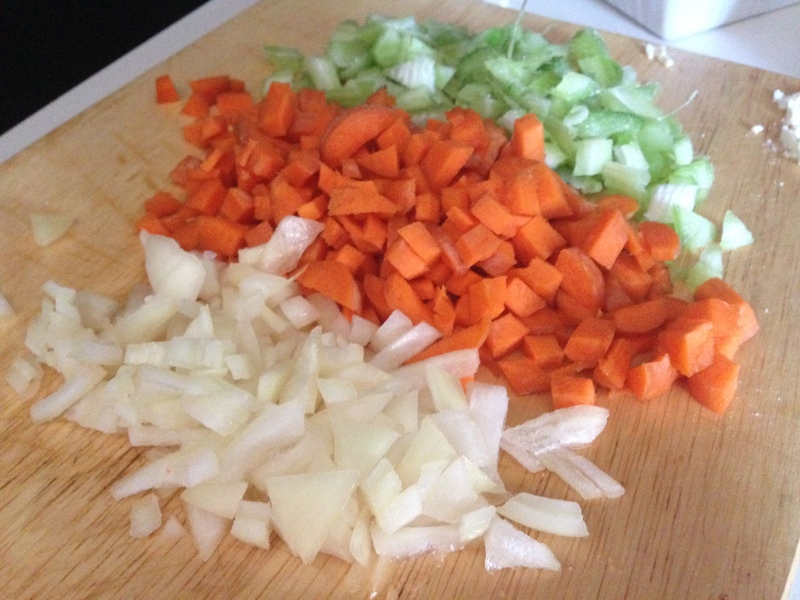 Chop the onions, carrot, and celery. 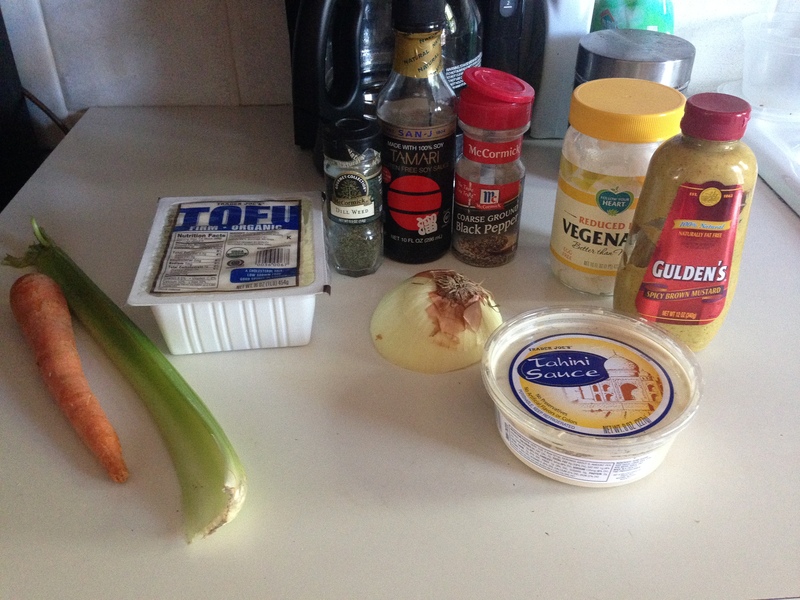 Combine the ingredients in a bowl, and add mustard, vegan mayo, soy sauce, and tahini. Add spices (pepper, turmeric, dill). 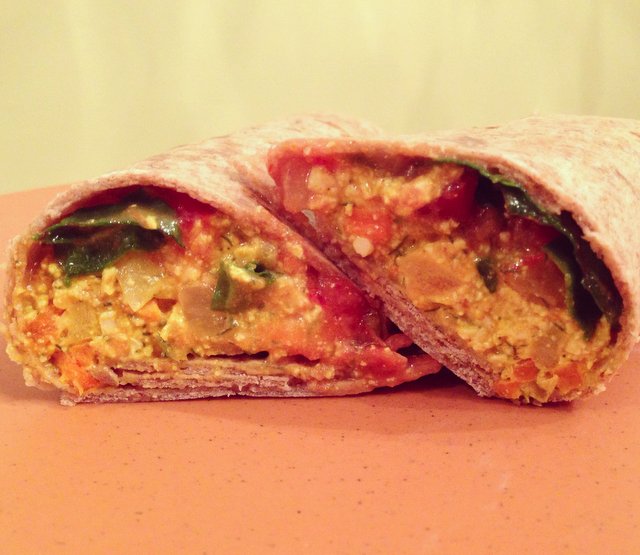 Mix together and add to your favorite slice of bread, salad, or wrap. I added salsa and spinach leaves to my finished product. Yum! It’s Just Food, or Is It?